These pieces were initially created with the intention of providing substance for a choreography by Li Chiao-Ping, whose dancers apparently couldn’t manage to follow the material’s erratic metres well enough to actually bring the proposed collaboration to a completion. Providentially the sounds remain, and they’re refined as much as necessary to stand alone for regular CD-fuelled consumption. The leader shows a superb command of nylon strings alternating disobedient clusters, asymmetrical rasgueados, swinging impertinence and poetic linearity depending on the circumstance. The lyrical counter altar is represented by cellist Matt Turner, who often steals the spotlight with the daydreaming rigour of his beautiful tone, finely complemented by vibraphonist Robert Stright’s shimmering unselfishness. An outstanding rhythm section – Geoff Brady on percussion, John Padden on double bass – provides a pulse that is full of zip but never petulant, contributing to the dismemberment of potential lassitude – a constant peril both in jazz and any kind of music conceived for dance. 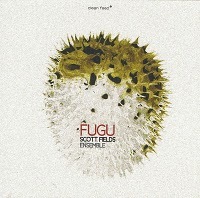 Fields confirms himself to be a name to keep an eye on all the time, especially when analyzing the way in which he frequently relinquishes a role of guitar-wielding protagonist while privileging a considerable transparency in the overall design, in turn cleverly enriched by a magnificent stability in the composed/improvised ratio.